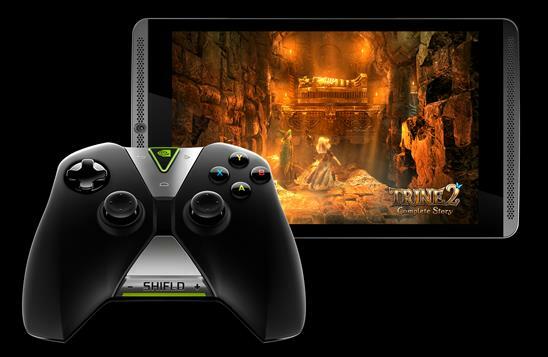 Following lots of rumors and speculation, NVIDIA has finally taken the wraps off the company's much anticipated gaming tablet dubbed NVIDIA SHIELD. The new 8-inch gaming tablet will be powered by Android and feature plenty of power and performance thanks to a solid set of specs! At the heart of the beast is NVIDIA’s new mobile SoC, the NVIDIA Tegra K1, which features the same Kepler graphics cores NVIDIA builds into their GeForce GTX graphics cards and Tesla supercomputer accelerators. The quad-core ARM chip features 192 CUDA cores with a 2.3GHz max clock speed. K1 supports a variety of APIs and features which include OpenGL ES 3.1, AEP, OpenlGL 4.4, DX12, Tessellation, CUDA 6.0. Nvidia claims that the K1 can do all of this while consuming less than two watts of power. For exceptional video and sound the SHIELD will feature an 8 inch 1900x1200 IPS display and front facing speakers with NVIDIA PureAudio technology and dual-bass reflex ports into the tablet to deliver great sound. Since the shield offers a full Android experience users will have access to the thousands of Android games currently available on Google Play. However, the games don't stop there. NVIDIA says there are now more than 400 SHIELD-optimized games available through the SHIELD Hub, as well as 11 specially optimized games for Tegra K1. Pricing, Availability and AccessoriesThe SHIELD tablet comes with either Wi-Fi connectivity, or Wi-Fi and LTE. 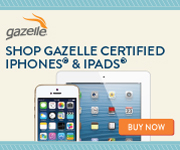 It's available in 16- and 32GB, with MicroSD support (up to 128GB), starting at $299. The SHIELD wireless controller retails for $59. The SHIELD tablet cover retails for $39. The full list of resellers and further information, including product specifications, are available at http://shield.nvidia.com/.